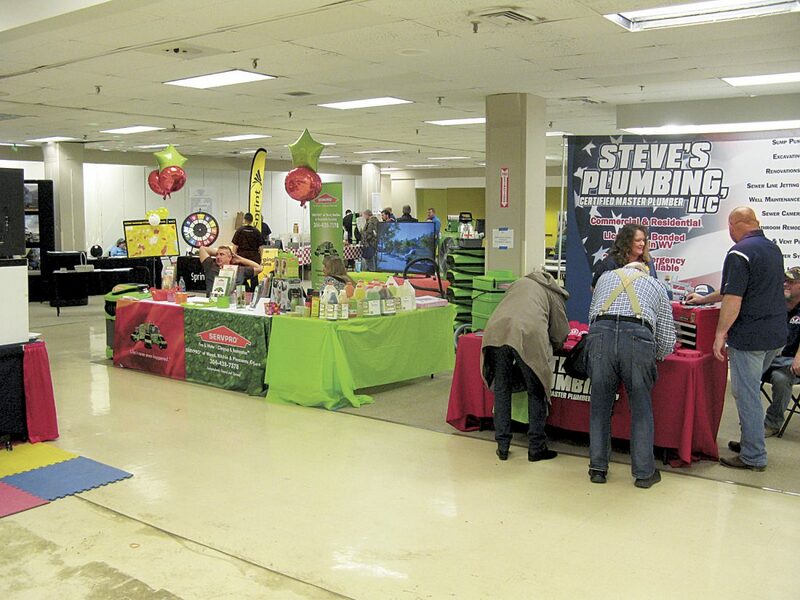 Photo by Jess Mancini Steven D. Bailey of the Home Builders Association is pleased with the 2019 Great American Home Show that ended Sunday in the former Sears Building. The show started on Friday. Photo by Jess Mancini Artist J.D. 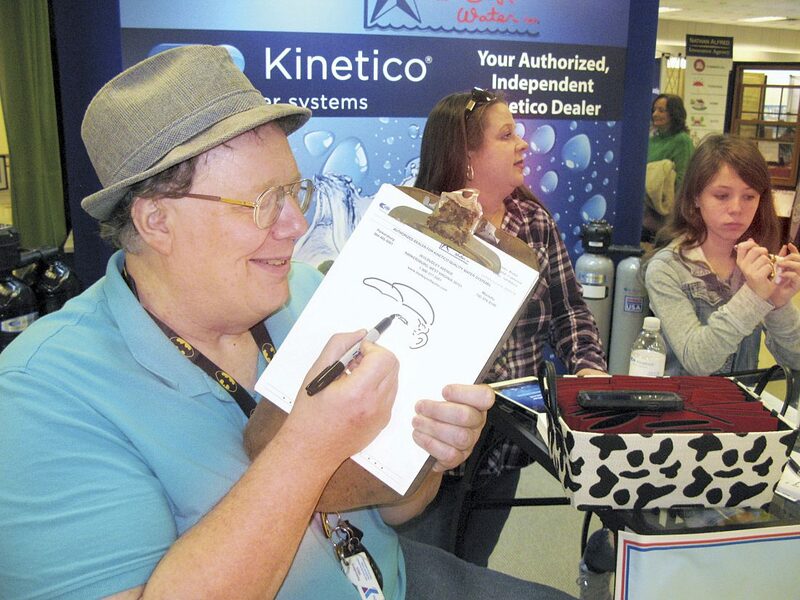 Williamson draws a caricature Sunday at the Great American Home Show. The show is sponsored by the Home Builders Association. Photo by Jess Mancini The Great American Home Show sponsored by the Home Builders Association of the Mid-Ohio Valley was held this weekend at the Grand Central Mall in the former Sears department store. About 60 exhibitors participated. 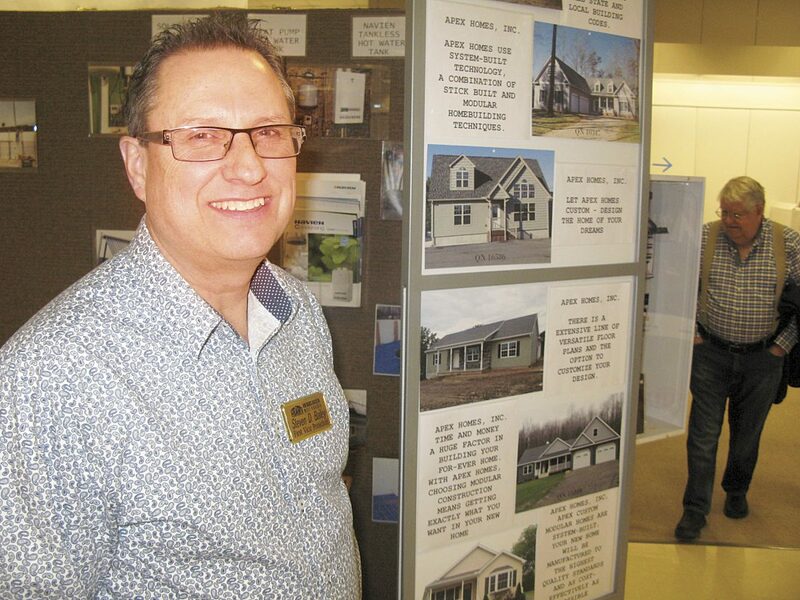 “It’s been great,” said Steven D. Bailey, an officer of the sponsoring Home Builders Association of the Mid-Ohio Valley and an exhibitor at the event held this year at the Grand Central Mall in the former Sears department store.